The status of the aspirant-country received by Ukraine is not a step toward the membership in the NATO but only the recognition of the aspiration. Rose Gottemoeller, the NATO Deputy Secretary General claimed this to Kommersant. ‘Countries decided themselves whether to achieve the membership in the NATO or no. Ukraine officially accepted such decision and we noted this, amending our website. I emphasize: the issue is about the mark on the NATO website’, she specified. 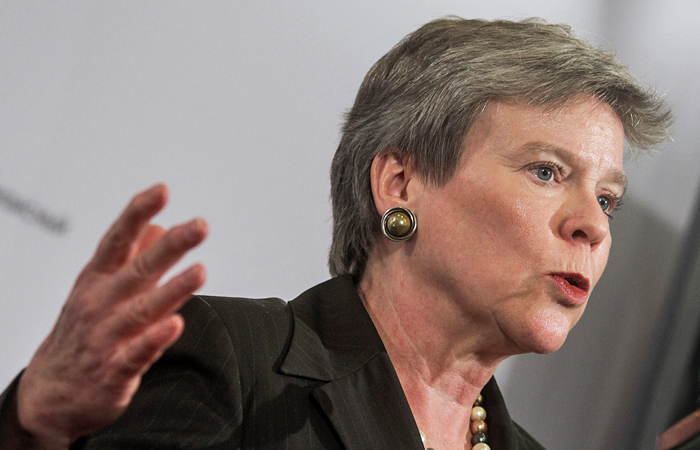 According to Gottemoeller, the general policy of the NATO toward Ukraine has not changed. The status of the aspirant-country is the recognition of the intentions of Ukraine to achieve the membership by the NATO.